2. 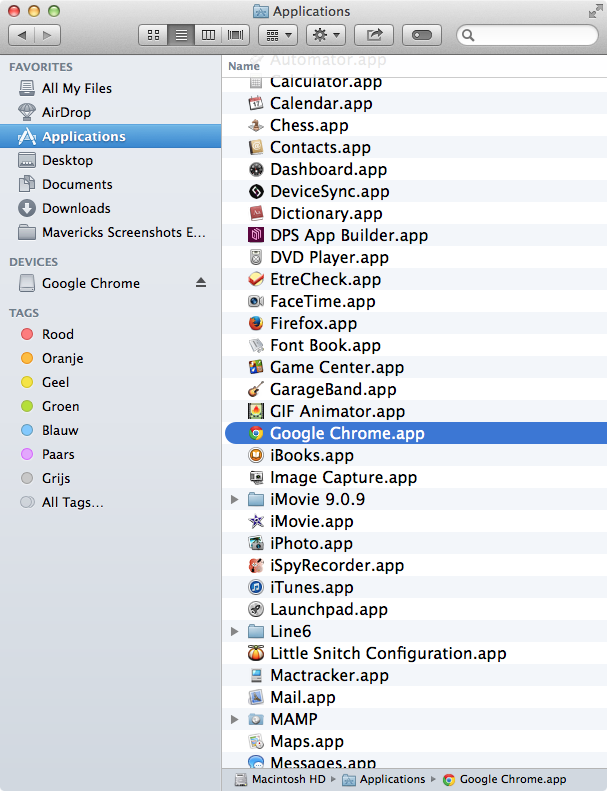 Go in the Finder to the 'Applications' folder. Double click the program name. 3. 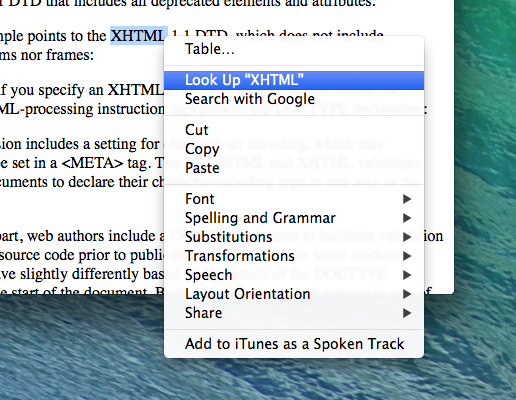 Use Spotlight (the spy glass icon at the upper right of your screen) to search for the program. More about Spotlight in this Chapter. 4. 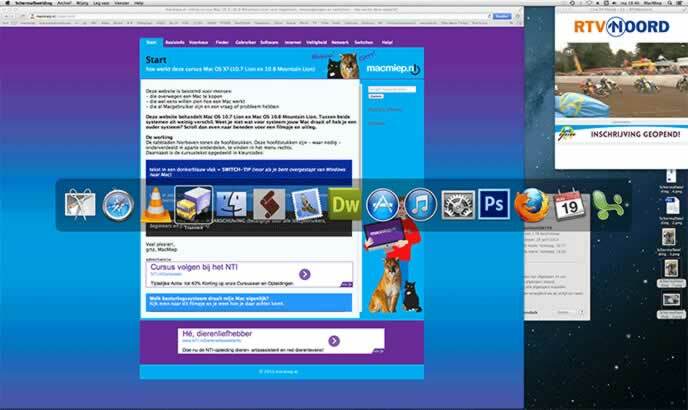 Use Launch Pad and swipe through all you programs and click the one you want. Especially for Trackpad users. Instasize Online - Download Instasize for PC on instasize.org. How do I get new programs for my Mac? The easiest way is through the App Store: a direct link to a secure and trustful virtual shop where you can buy and download your software. You can find the App Store in the Apple Menu and in the Dock. Not all developers sell their software at the Apple Store. 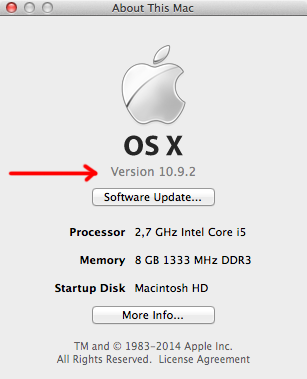 A good source to get your software is Macupdate.com. A lot of it is freeware (for free) or cheap (shareware). Be careful to get your software through sources like Usenet / Bittorrent. You'll never know if the software is working properly. It could contain Malware. More about Malware in the Security Chapter. Many programs do not need to be installed, just copied. Just drag them into the appropriate folder on your hard drive. Sometimes programs do need to be installed. 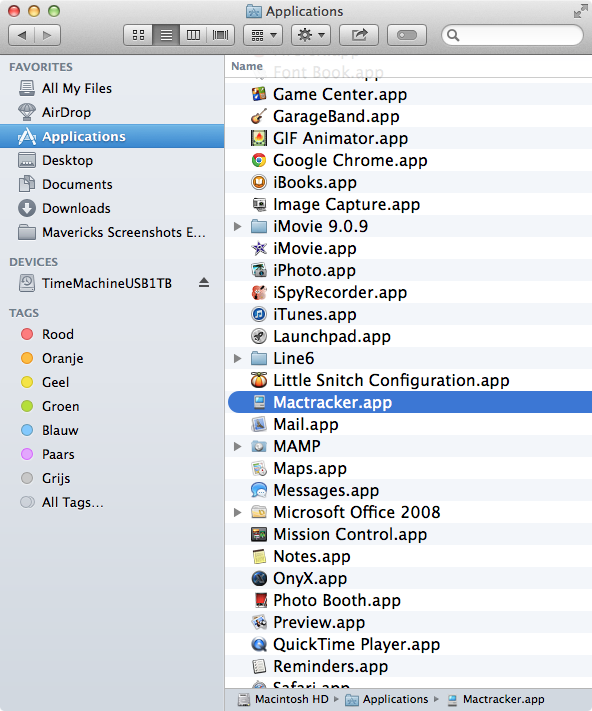 This means that the program has to add more items to your Mac at different places. You'll see the word 'installer' or '.pkg' in the name of the program. NOTE: Keep your administrator password at hand! This virtual disk works like a real one It appears on your Desktop and in the Sidebar. After using, you just eject these disks or drag & drop them into the trash. 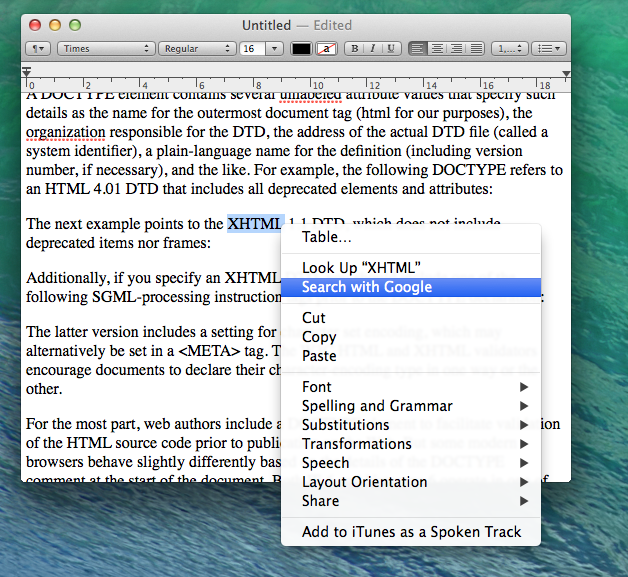 See to it that your software is suitable for Mac OS X 10.9 Mavericks. Software from App Store is always OK. 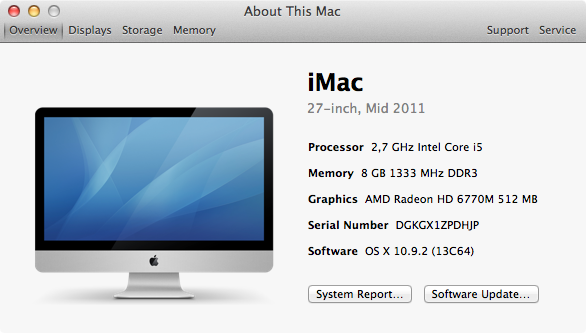 They know exactly what your Mac is using as an operating system. Download Android Emulator Genymotion for free http://android-emulators.com/genymotion.php for PC (Windows). 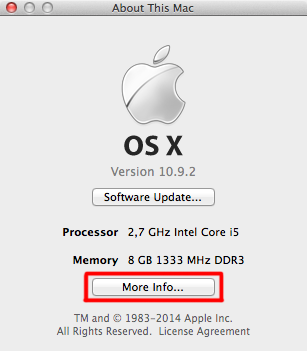 How do I know what operating system my Mac has? 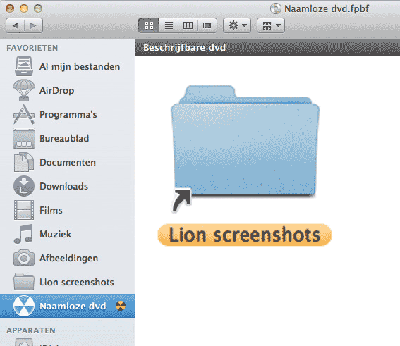 MacMiep loves to save money, so we'll download a free program as example. 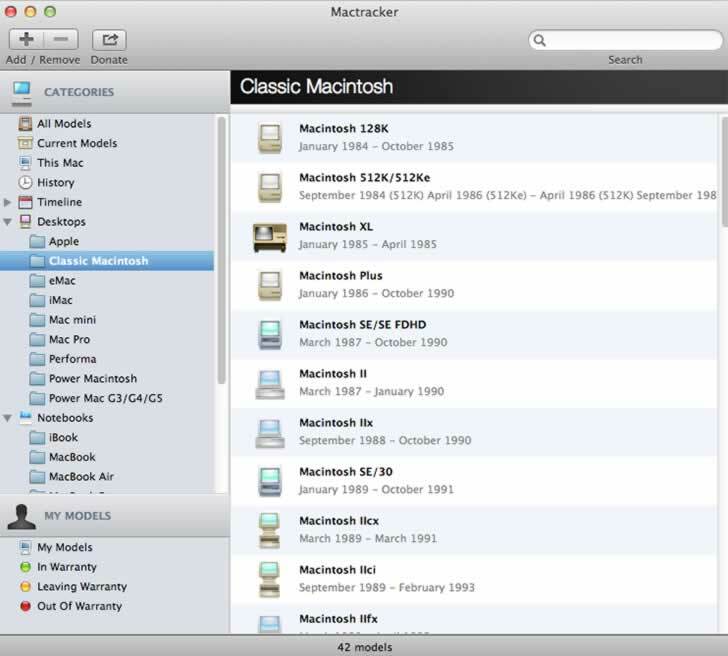 We'll use MacTracker, a program that shows you all the Mac's that were ever made and tells you all about their specifications. Use the search field to look for the program you want. Click the 'Install App' button to get the program. NOTE: Don't you have one yet, choose"New Apple ID"
Now you can see the whole history of the Apple Macintosh! NOTE: If you wish, you can throw the new program in the Dock or even in the Side Bar. Choose what you like best. There are more roads to Rome on a Mac. 1. download the program from the Google-website. 2. Double-click on the .dmg to open it. Double-click the program to start it up. 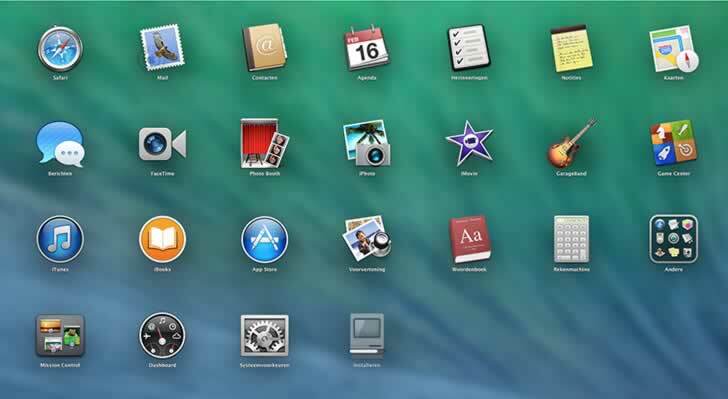 Don't forget to drag and drop your new program into the Dock! Are you planning to use Chrome a lot? 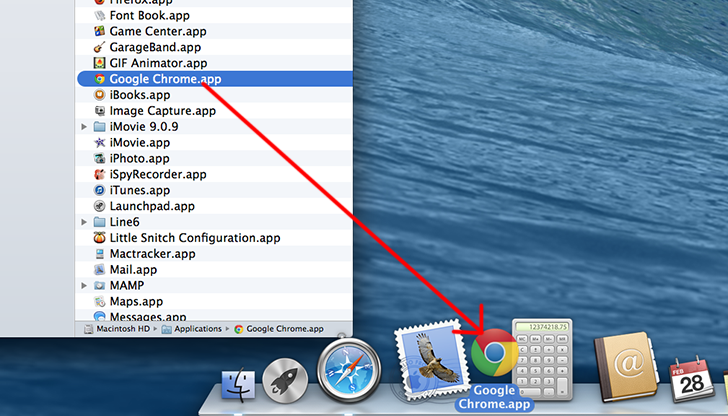 Right click on it's dock icon for a menu and choose 'Open at login'. This is a security measure to prevent you from downloading something you didn't want. Working with installers is easy. 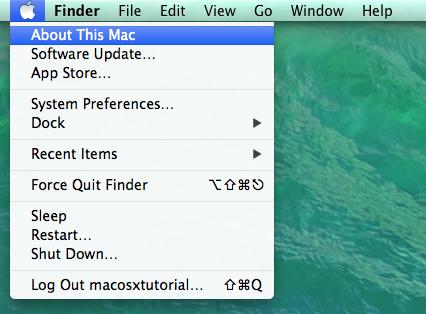 Double click the installer icon and follow the instructions on screen. 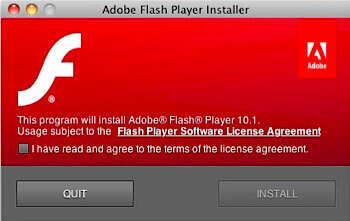 MacMiep took the Adobe's Flash Player as an example. Only to find at www.Adobe.com. Keep your Administrator password at hand! NOTE: The installer ask you to quit all your internet browser programs. This is normal. NOTE: You still need Flash to surf the internet properly. 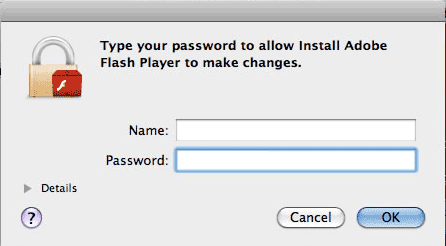 Unfortunately, Flash has a bad name regarding security. It has it's safety updates at a regular basis. More about this in the Security chapter. Some software has to add things deeply in your operating system. In case after installation the installer asks for a Restart, do this immediately. Software developers try to make their products better and better. Updates you can find in the App Store at Updates. Software that can't be found in the App store has it's own method of updating. Mostly you get a notice that an update has appeared. You can also check for updates yourself. Here I check it in my Dutch version of Excel (MS Office). In Windows a program has the word .EXE (‘executabele’) behind it's name.You'll never find that on a Mac, unless you decide to install Windows, off course. More about this in the Switching chapter. You have a file, but no program that can open it. There's a solution. 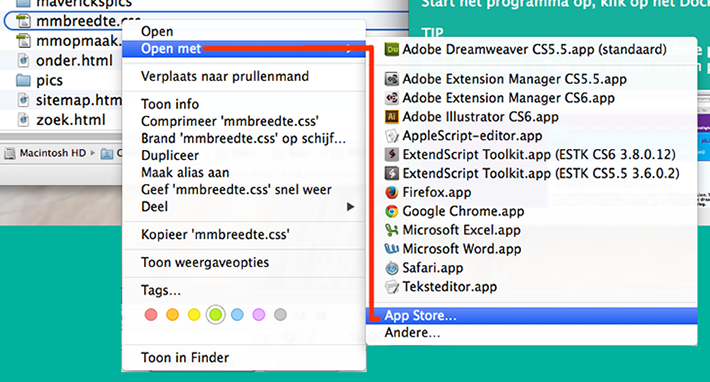 Right-click on the file and choose 'Open with => App Store'. 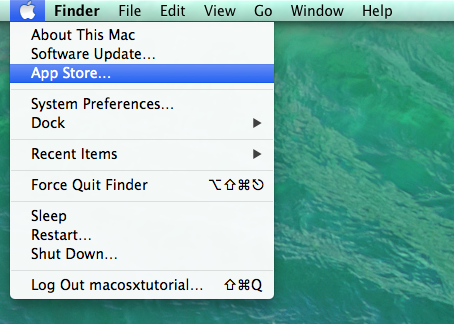 Your Mac will now search for suitable programs in the App Store. You can use 'Copy' and 'Paste' from the 'Edit' menu (Command C, Command V). But did you know you can drag and drop between different programs? It depends on the program and the file, but you can always try. 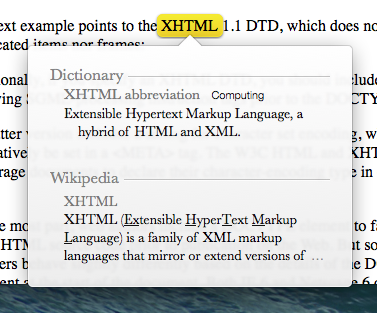 Use the shortcut: Command-Tab . Trackpad-users can sweep with three fingers. 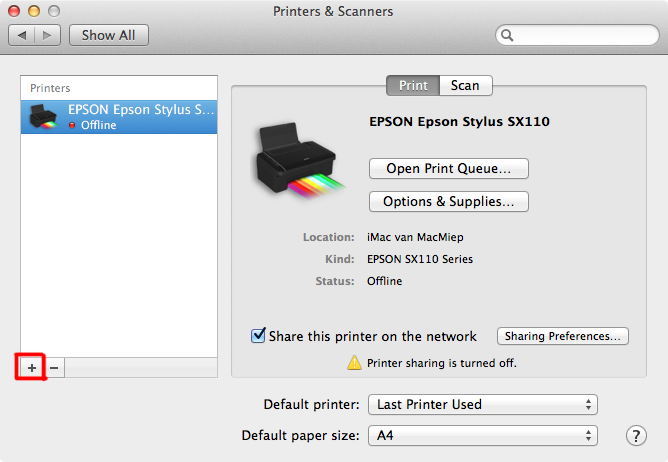 There are a lot of printer drivers present in Mac OS X. 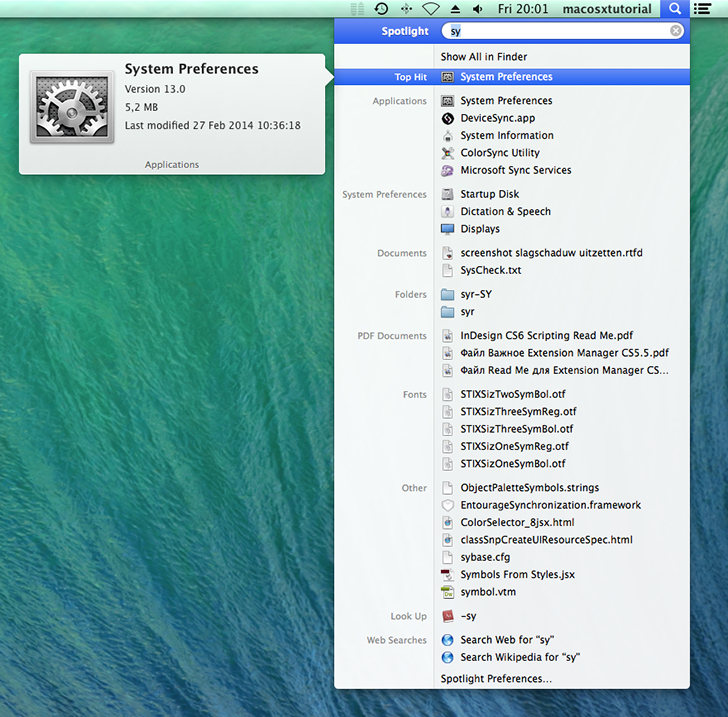 Go to Printers & Scanners at the System Preferences. Click the + symbol to add a new printer. Choose the right kind of printer in the Add window and click the Add button. NOTE: In case your printer does not appear in the list, you'll need to install its driver software. Otherwise, visit the manufacturers website for the install software. For example, you made a document you want to email somebody. However, that person doesn't have the program the document's made in. 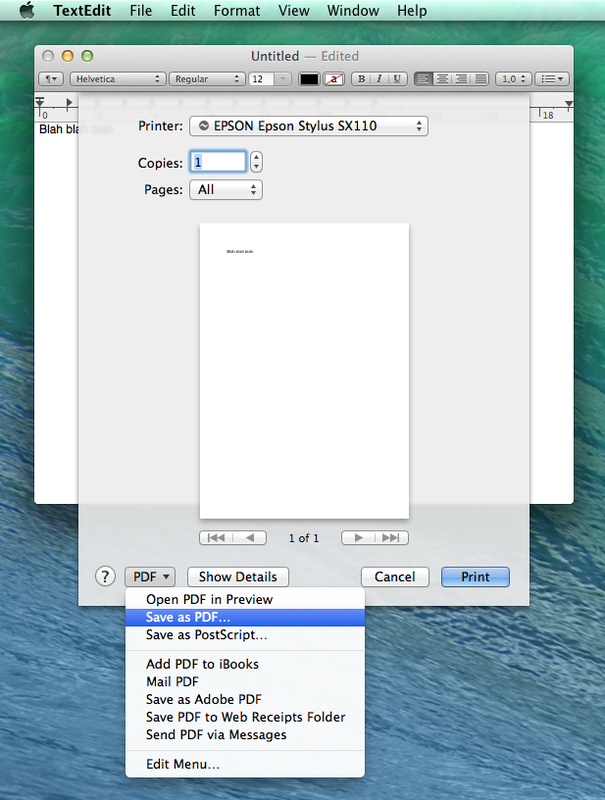 No problem at all, you can use the 'Print' command to make a PDF-file. 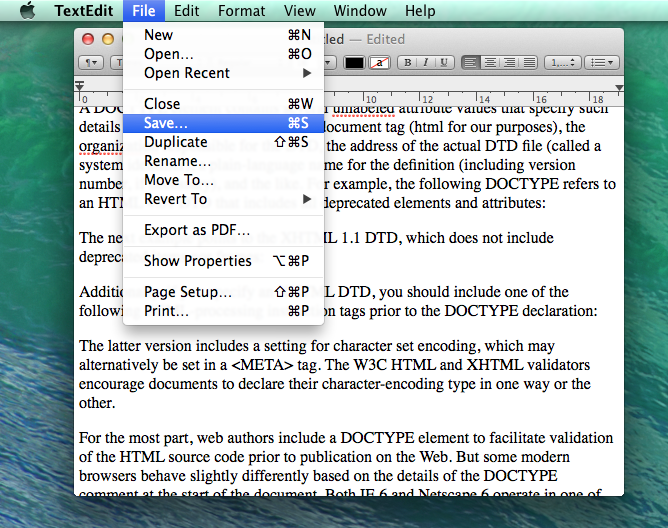 PDF (Portable Document File) is such a common format, almost every computer can read it. 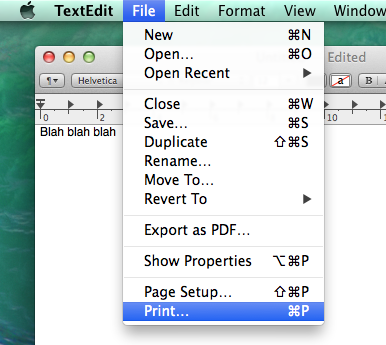 Open your document and choose 'Print'. Please select "Save as PDF..." instead of "Print". 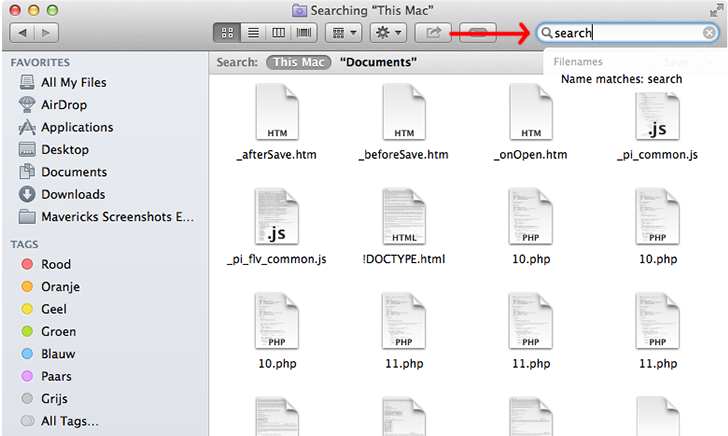 When you choose 'Open Finder', a cd-icon will appear on the Desktop in the Navigation bar. 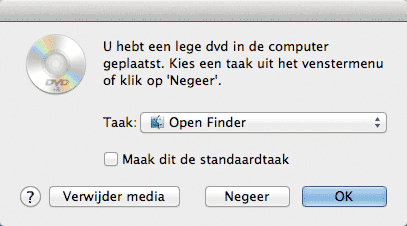 If you want to burn the cd, just click the nuclear icon or drag & drop it into the Trash: Finder will then ask you if you want to burn that cd. 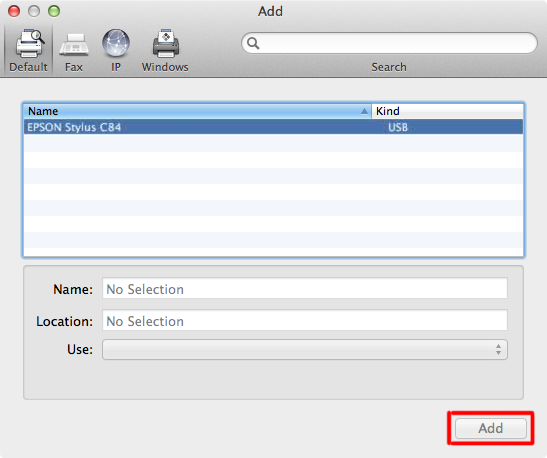 In System prefs=> Cd’s & dvd’s you can find the preferences for handling full or empty disks. NOTE: Excellent third party software for burning cd's is for example Toast Titanium, made by Roxio. You can use this along side the standard software. It is also possible to burn a cd directly from the program you're working in. Like iTunes for music, iPhoto for photo's and iDVD for movies. 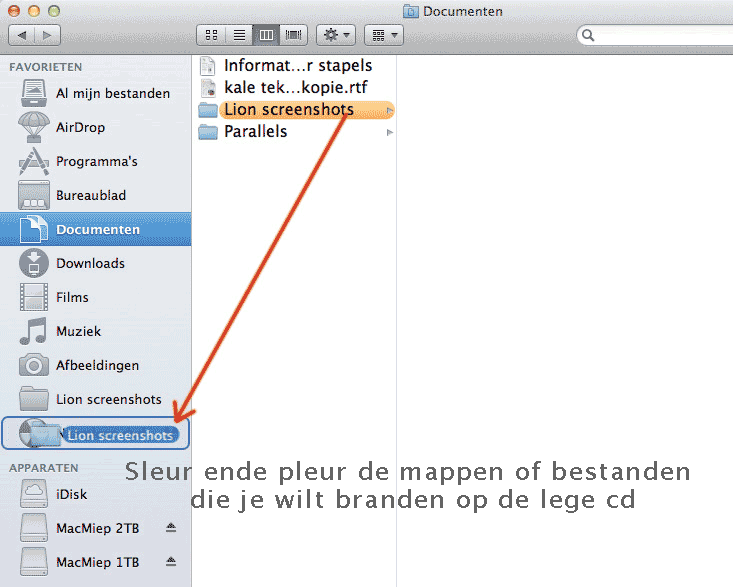 Choosing the 'burn' command will automatically open the cd-tray and make the Mac ask for an empty disc. 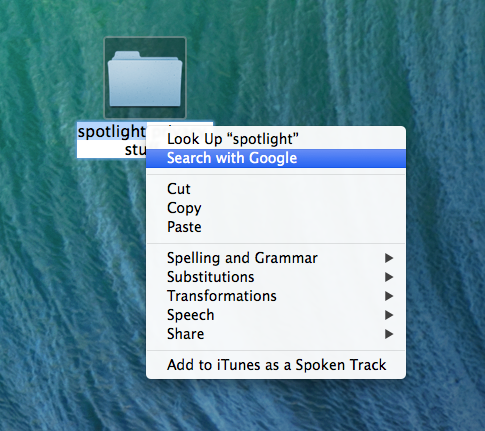 Where is Spotlight allowed to search? For example: to get an á, type the key combination option + e. Nothing will happen yet, but the / will appear when you type the a next. So the accent only appears after you gave the option + e command and then type the character that needs the accent, in this case the letter a. You can also hold the key of character a bit longer. A little pop-up appears. 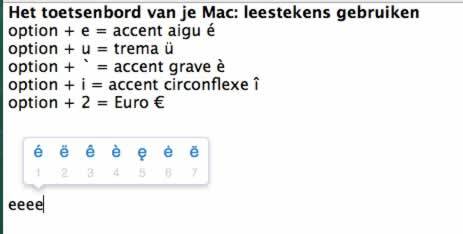 Use your mouse to choose the proper accent. 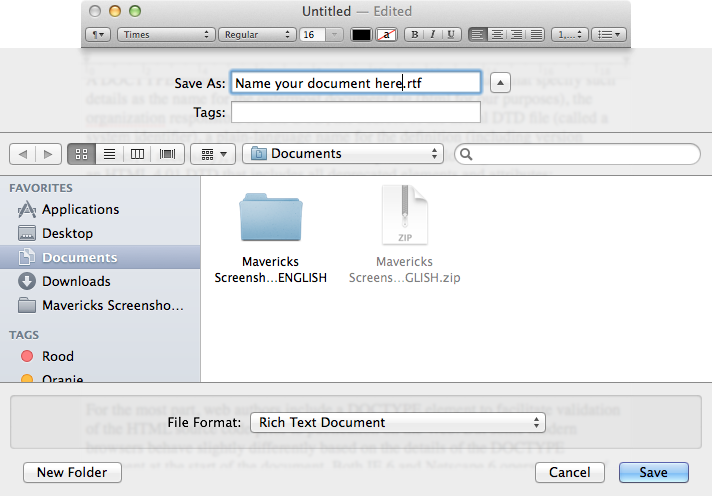 When you made a document in a program, for example Text-editor, mostly you'd like to save it. 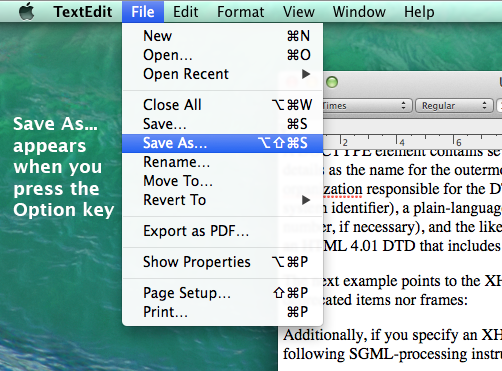 'Save As' means that the document gets a totally new name. 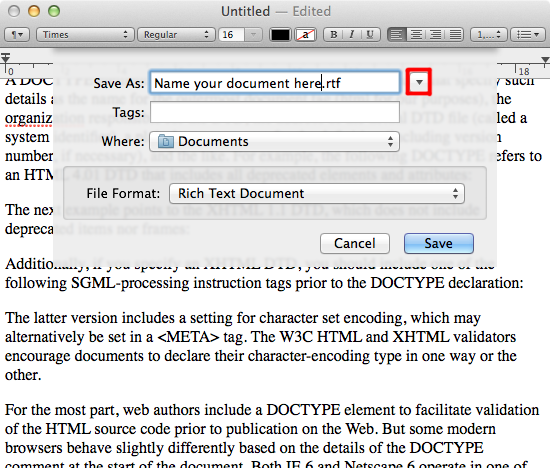 'Save' means the document will be saved under the same name and will be overwritten. Mind this! 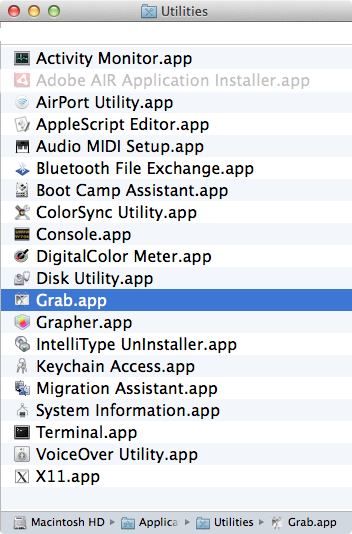 Boot Camp-assistant - Helps you installing Windows on your Mac. More about this in the Switching chapter. Disclaimer: MacMiep is independent. This means she writes what she wants, based on 20+ years of Mac-experience. She doesn't get paid for stories (positive or negative) on this website.